In the heart of Avondale, on the main street, is a large, neglected, concrete lot that has sat vacant for over ten years. During the Whau Arts Festival, this space will be transformed into an URBAN PLANTATION. A thriving, fertile, creative plot where over four days local artists (architects, painters, photographers, sound artists, performers, poets….and more) will plant ideas, and watch them grow! Commonly referred to by locals as ‘the Old Three Guys site’, the location of the Urban Plantation (1921 Great North Road) is a privately-owned space, that sits in a very public location. Recognising that the neglected and vacant state of this space sits in stark contrast to the diverse and vibrant creative community that lives in Avondale, the festival organisers, Whau the People, felt compelled to engage with the space as the centrifugal axis for the festival’s activities. 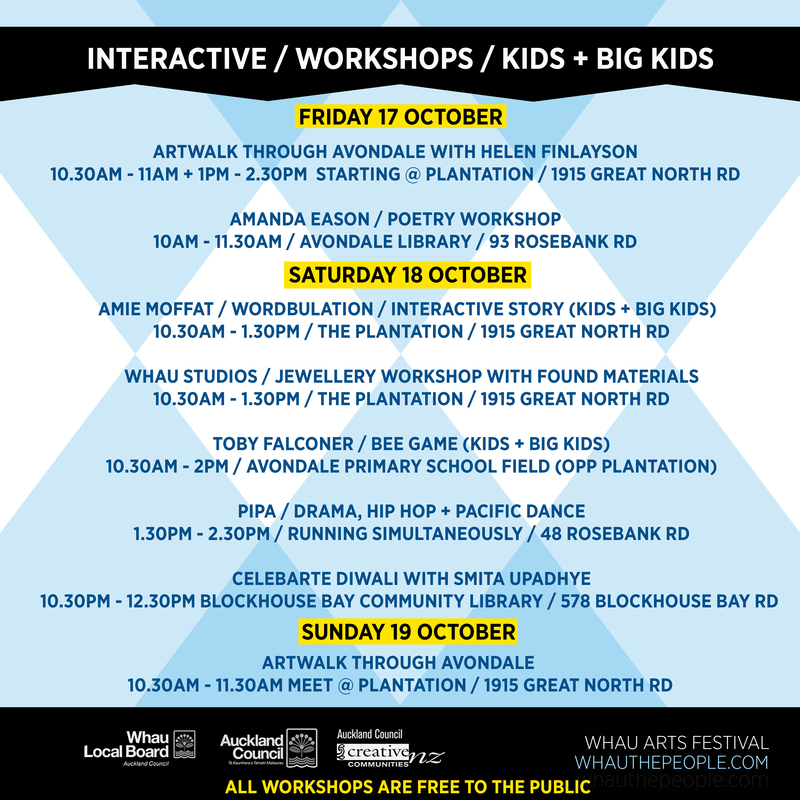 Through engaging with a range of local artists who live in the area, Whau the People has provided an opportunity for local practitioners to consider the space through a creative lens and experiment with their ideas by activating the space over the duration of the festival. 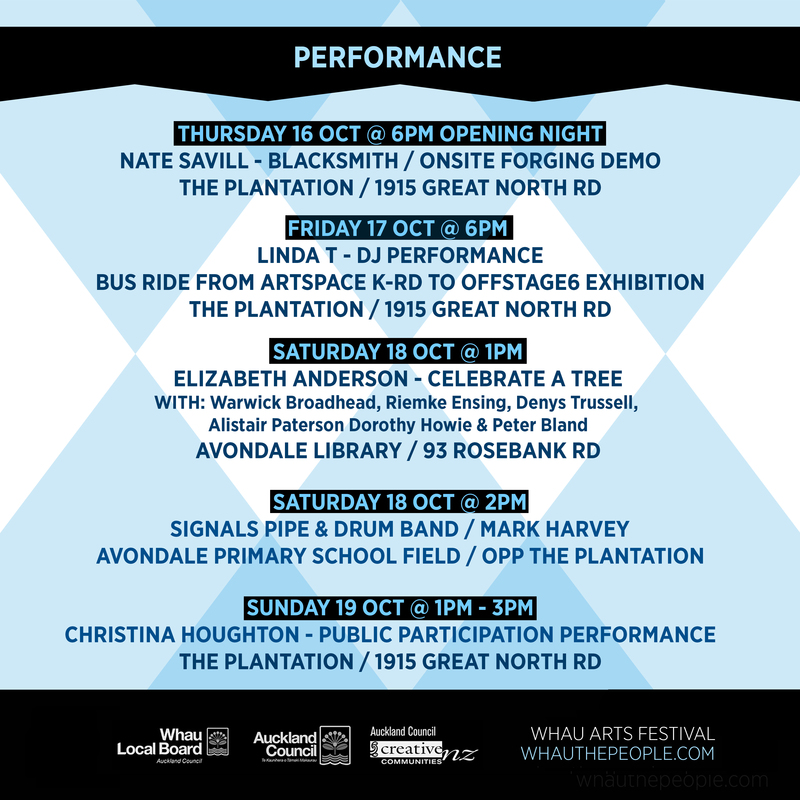 In this way, over the four days of the Whau Arts Festival, the Urban Plantation will continue to evolve as a creative entity: transforming a neglected concrete lot into a thriving hub of creative energy! Will Crummer is a living Pacific treasure: a master singer and encyclopaedia of Polynesian song. The father of New Zealand singing star Annie Crummer, Will was born in the small village of Turangi in the Cook Islands, where he grew up surrounded by music: the singing of his mother, his grandfather’s wind-up gramophone, the ukuleles and handmade percussion of the local string bands. And there was the radio, which brought him exotic voices from across the seas: Nat ‘King’ Cole, Jim Reeves, Pat Boone and Elvis Presley were a few of his favourites. From these various sources Will Crummer forged his personal singing style, blending the crooning of the pop stars with the rich and romantic tradition of Rarotongan song. In the 60s, Crummer came to New Zealand and was welcomed into Auckland’s thriving Polynesian music scene, singing at such popular inner-city nightspots as The Orange Ballroom and The Reefcomber. He made his first recordings for the Auckland-based Viking records. These sold well and remained in print into the 1970s. As a performer he toured the Pacific, travelling as far as Tahiti and Hawaii. Family life slowed down his professional career but the musical gene had clearly been passed on to his children. Annie Crummer is one of New Zealand’s most successful and best-loved singing stars. In late 2010 Will Crummer went into Neil Finn’s Roundhead Studios to record his first album in four decades, accompanied by a group which includes daughter Annie on harmonies and pa’u (traditional Rarotongan bass drum) and son Pat on guitar and ukulele. He is still singing as beautifully and soulfully as ever. Initiated into his fathers band at the tender age of 7, Malcolm’s all round skills quickly expanded to include guitars, keyboards and drums, creating the foundation on which he would build his career. With this solid musical grounding in early live band work as well as cultural grounding in his treasured Niuean culture; Malcolm has never looked back since. Malcolm went on to tour the world with internationally renowned Polynesian band Te Vaka between 2001 and 2004, an inspiring experience which proved to be a catalyst for Malcolm to further pursue his own musical dreams; alongside spectacular opening night performances at Western Springs for the Pasifika Festival in 2004 and 2005, one such dream realized was the independent release of his self produced debut EP “Quote – Unquote” in 2009. With his innovative fusion of guitar textures and modern R’n’B beats providing the EP’s funky soundbed on which he delivers his trademark soulful vocals, his uplifting originals sit comfortably alongside contemporary interpretations of his family Niuean classics. The instrumental jazz duo A Cheerful Kind of Madness is made up of husband and wife team Matthew and Amber Read. Amber is a classically trained violinist while Matt is a jazz multi-instrumentalist. The violin+keys duo specializes in light instrumental jazz of the swing era and has performed in Restaurants, cafes, libraries and private functions around the country. The Mutes are a unique rock / pop band out of West Auckland. What makes them unique, beyond their undoubted musicianship and songwriting ability? The majority of members have an intellectual disability in some form. They break down barriers through their songs and music and thus challenge people’s perception of disability, by being musicians who live successful lives with a disability – in and outside of band life. Their creative passion and commitment to performing connects the disability culture with that of the rock music community. The Mutes, as a band and individuals, are ‘powered’ and empowered by the A Supported Life organization, working for persons with a disability in West Auckland. Members: Jared Barrington, Gabe Ashby, Miranda Mills, Lisa Hannam, Jonathan Gill, Nathan Child, Gabriel Friedlander & Sam Benge. Image from The Mutes Facebook page. Janet Charman has published seven collections of poetry. Most recently ‘At the White Coast’ , AUP, 2012, a memoir of her year working in London during the Thatcher era. The manuscript of this collection was joint winner of the 2010 IWW (Auckland) Kathleen Grattan Prize for a Previously Unpublished Sequence of Poems. In 2008 her collection ‘Cold Snack’ , AUP, 2007, won New Zealand’s annual Poetry Prize. She was the 1997 writer in residence at Auckland University and in 2009 was a Visiting Fellow at the International Writers’ Workshop of Hong Kong Baptist University. Charman has a masters with first class honours in English from Auckland University, where she tutored New Zealand literature for several years. She has also worked as a nurse and most recently as a secondary schoolteacher. Her current writing projects are a new collection of poems and a series of essays applying the Matrixial theories of Bracha Ettinger to some key texts in New Zealand literature. Ila Selwyn was an MC at Poetry Live for four years, followed by the MC and organiser for Rhythm & Verse at Lopdell House for five years. This year she’s writing a play with poetry for her Masters of Creative Writing at the University of Auckland. Anita Arlov tries to make sense of a befuddling world through poetry. She organises Inside.Out Open Mic For Writers, once a month at One2One Cafe Ponsonby Rd, where all writers are welcome to read their writing aloud. She co-created award-winning Spit.It.Out Spoken Word Events, which premiered at the 2012/3 Auckland Fringe Festival and plays out in libraries on a regular basis. Leilani Tamu is a poet, social commentator, Pacific historian and former New Zealand diplomat. In 2013 she was the Fulbright / Creative New Zealand Writer in Residence at the University of Hawai’i in Mānoa. 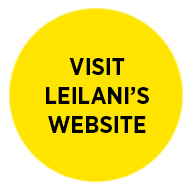 Leilani’s work has appeared in a range of anthologies, including Mauri Ola: Contemporary Polynesian Poems in English; Niu Voices: Contemporary Pacific Fiction 1; Landfall; JAAM; Blackmail Press; Hawai’i Review; Griffith Review, SPASIFIK Magazine, and Snorkel. Her debut book of poetry The Art of Excavation was released in August 2014. 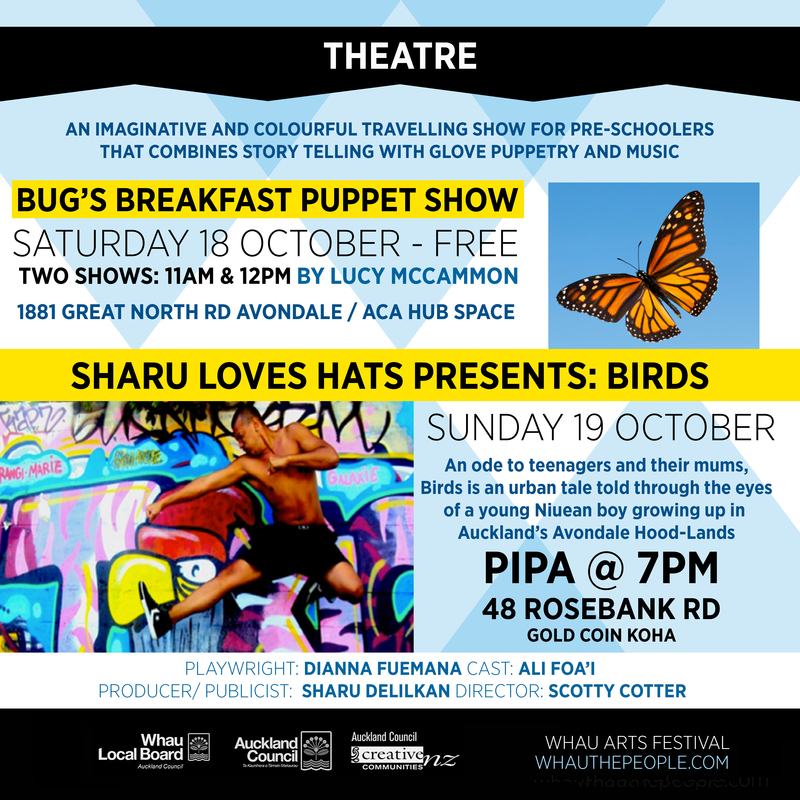 Leilani lives in Avondale with her family and is a passionate member of Whau the People – multi-disciplinary group of local artists who established the 2014 Whau Arts Festival. Alistair Paterson was made an Officer of the New Zealand Order of Merit (ONZM) for services to literature in 2006. 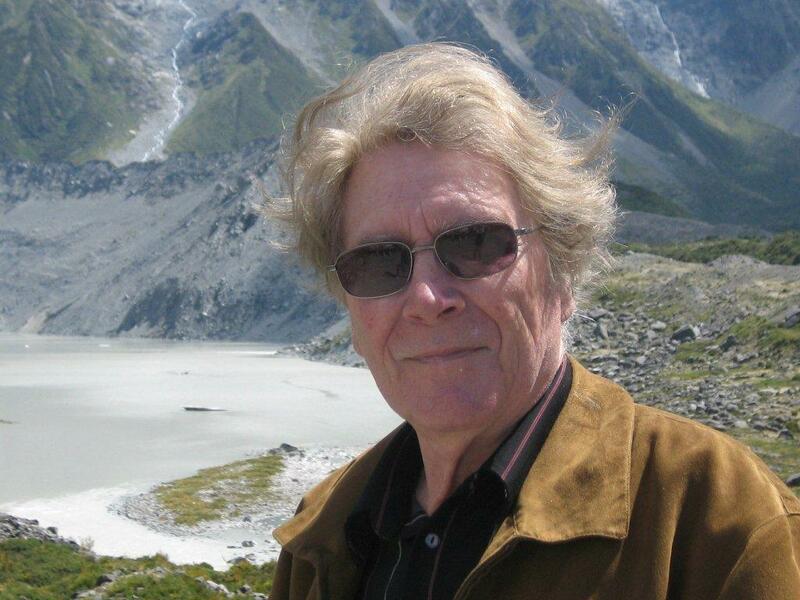 He edited the the literary magazines Mate and Climate between 1972 and 1982 and Poetry New Zealand from 1993 to 23004. He has nine books of poetry to his credit including his fifth long poem published by Puriri Press in 2008. A tenth collection is in preparation. His work includes a chapbook on poetic theory, a novel and two anthologies. He has won the Katherine Mansfield Award for short stories and was co-winner of the University of Auckland’s John Cowie Reid Award for longer poems. 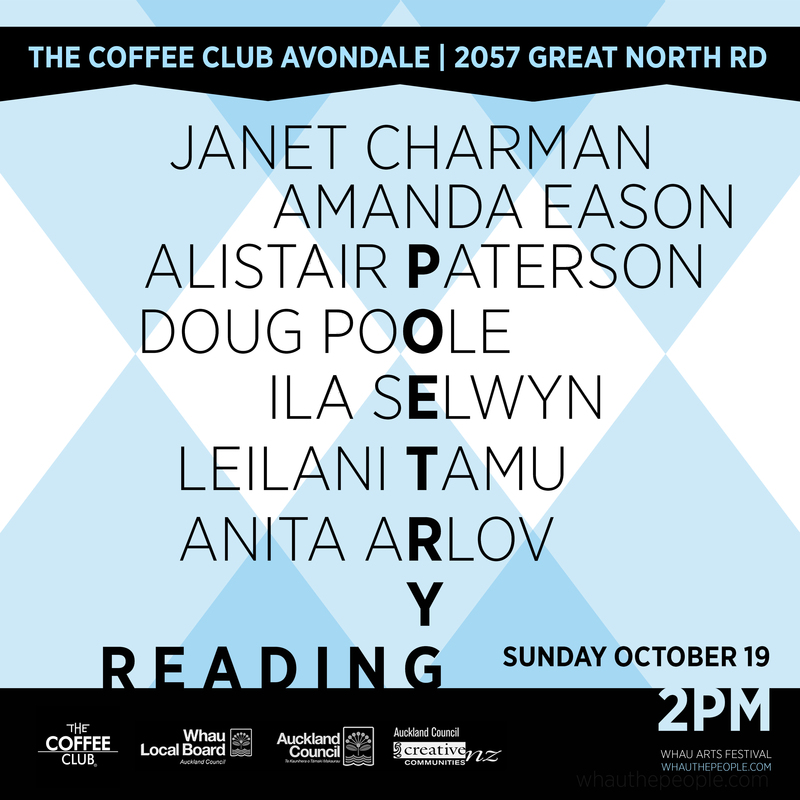 He has visited the USA six times promoting New Zealand poetry, and has been a long-term mentor for both tyro and more experienced poets. 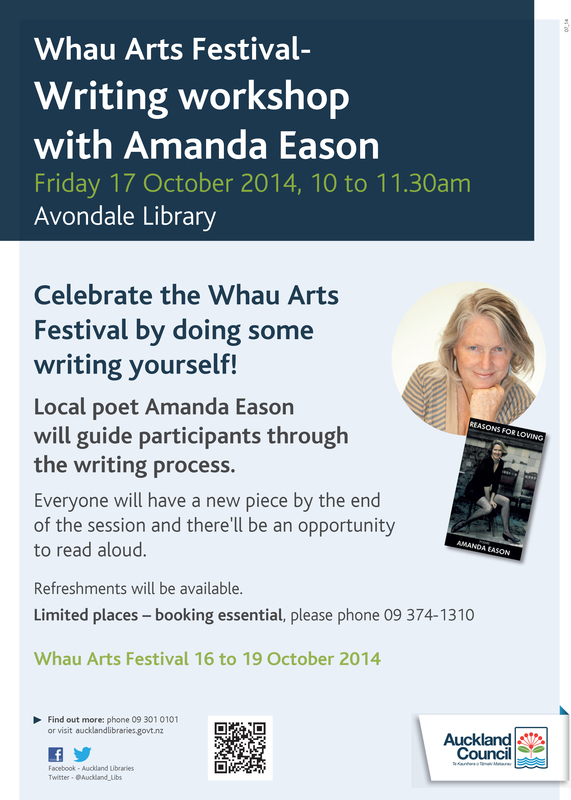 Amanda Eason has recently returned from London, where she spent 20 years teaching & writing Poetry. She has four UK collections. The third, Reasons For Loving was selected for publication by Carol Ann Duffy, the current UK Poet Laureate. This collection was co-published in NZ by Brick Row Press — Elizabeth Smither wrote of it: She makes poetry look good enough to eat. Amanda represented NZ at The 1989 Struga Poetry Festival in Macedonia. Now that she’s home, she’s making up for lost time, giving readings & workshops all over Auckland. 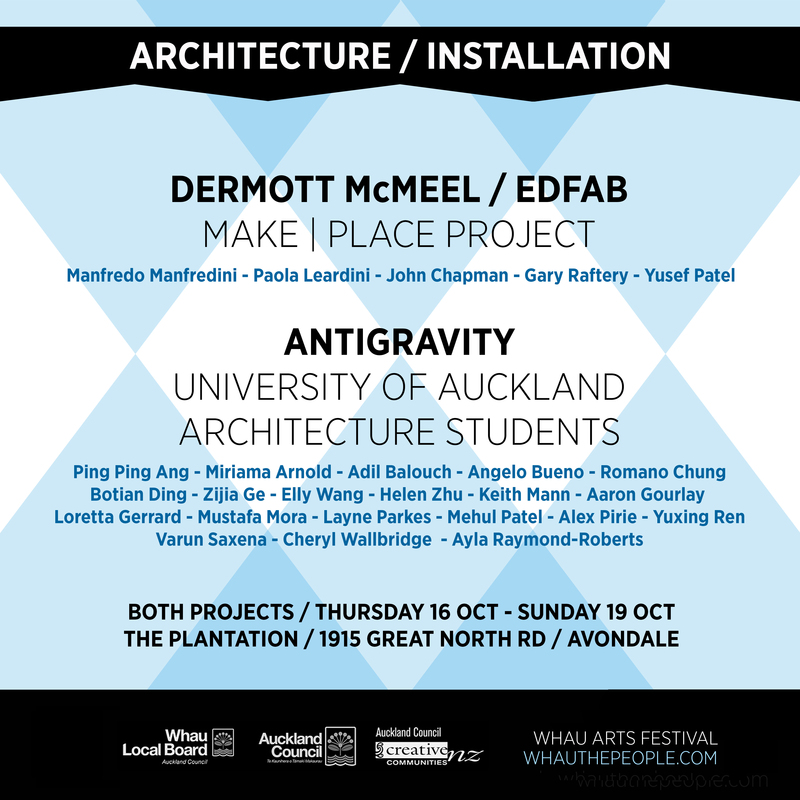 Dermott McMeel is an Architect and researcher at the University of Auckland, his research is primarily conducted somewhere between the disciplines of architecture, information science and artistic practice. With interests in design and digital technologies; media and cultural theory; digital geography and social media, he seeks to better understand technology’s ability to delaminate the socio-technical, geo-political and cultural strata of our physical environment..
MAKE | PLACE is comprised of two individual events. EDFAB is a digitally fabricated building, it pushes the boundary of what digital fabrication means for designers, the built environment and society as a whole. This project exists to explore new models of community place making in the 21st Century, questioning preconceived ideas about design professions, the building industry and the challenges of home ownership in places like Avondale, Auckland. A comprehensive list of people and bios related to EDFAB below. 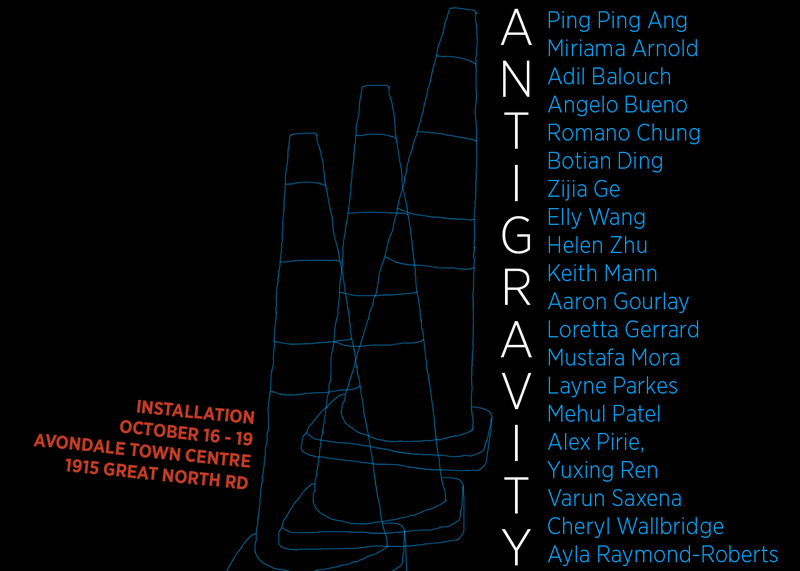 Antigravity is an installation by students at the University of Auckland’s Department of Architecture that looks at how we can temporarily activate places creating instant urbanity that serves as a catalyst for communities and change. Dermott’s research is primarily conducted within the disciplines of architecture, information science and artistic practice. With interests in design and digital technologies; media and cultural theory; digital geography and mobile/social media, he seeks to advance the discussion on the influence of technology in both the design/making process and the built environment. His current research has a focus on locative media and the disruptive effect of mobile devices on the ‘craft’ of design and construction, as well as technology’s ability to impact our physical environment. Manfredo studied architecture and urban design in Milan and Berlin. He has been engaged in individual and group research over a wide range of topics in architectural theory and criticism, as well as in design at architectural and urban scales. Since his graduation from the Milan Technical University, Manfredo has consistently been involved in fundamental and applied research projects, both locally and internationally. After teaching architecture and urban design in Italy, Germany and China, since 2010 he has been teaching architecture and urban design at the University of Auckland. His current research interests address post-urban spatialization forms and correlated design aspects, particularly focusing on valorisation, re-qualification and redevelopment of architectural and urban heritage; affordable and special housing; and education in architecture. Each of these areas has been successfully developed in collaboration with international and multi-disciplinary teams, as proven by the track record of consistent publications, successful grants (national and international) and awards (first price Biennale di Venezia, Sironi Group). Dr Paola Leardini is an emerging researcher and academic in New Zealand. Following her initial academic career in Italy (Politecnico di Milano) and Switzerland (Accademia di architettura di Mendrisio), in 2007 she joined The School of Architecture and Planning at the University of Auckland, where she is lecturing in the field of Architecture and Environmental Design. She is a PhD graduate in the field of Indoor Environmental Quality studies. Her doctorate work was undertaken under the guidance of Prof P. Ole Fanger, one of the worldwide leading experts in the field of thermal comfort. At the present she is involved in different research initiatives in collaboration with major NZ research institutions and industry partners. Her research interests include environmentally responsive design of the built environment (architecture and urban scale); building energy efficiency: from low energy to positive and regenerative architecture; indoor comfort and indoor environmental quality (including post-occupancy evaluation); Passive House Standard in warm climate; building eco-retrofitting and urban regeneration; diagnostic, conservation and reuse of historic buildings. Dr Gary Raftery was a key figure in the development of the timber testing research facility at the National University of Ireland, Galway and was awarded a PhD for research undertaken on the development of FRP reinforced low-grade glued laminated timber elements. He worked as academic staff in Civil Engineering, National University of Ireland, Galway from 2008 to 2011 where he was primary supervisor to postgraduate projects in the area of strengthening of timber structural elements and award winning undergraduate projects. Dr Raftery had previously worked in industry after obtaining his BE (Civil) degree with first class honours from the National University of Ireland, Galway. Before joining The University of Auckland, Dr Raftery was awarded a working visit grant from the Department of Agriculture, Fisheries and Food, Ireland to undertake a research mission to the Norwegian University of Science and Technology in Trondheim, Norway. Yusef currently holds a prestigious BRANZ (Building Research Association of New Zealand) PhD Scholarship looking at how constructing buildings can be made easier with new digital fabrication technology. He graduated with a Masters in Architecture in 2014 having one several awards including the Bentley Design Award for Innovation in Structural Engineering Design. From its inception as a ‘hole-in-the-wall’ style restaurant in Britomart, MEXICO has been committed to offering Aucklander’s a high-quality Mexican experience. Passion and care has seen Mexico become a city favourite, and allowed them to grow to multiple stores. From day one, and still to this day, their food team is led by eccentric Spanish-born Javier Carmona. He is passionate about keeping Mexico’s food at the forefront of the experience, which he describes as “Mexican-inspired street food”. Javier changes the menu four times a year. While utilising what is seasonally fresh, he says he likes to “keep customers on their toes” by trying new things. We can tell it’s something he takes very seriously, as the day after Whau the People, he is flying to Mexico, the country, to be inspired for his next menu. Javier also loves to push the envelope when he cooks outside of the restaurants at various ‘Street Food’ events, like Street Eats or Taste of Auckland. Whau the People will be no exception and he is working on something special for us. 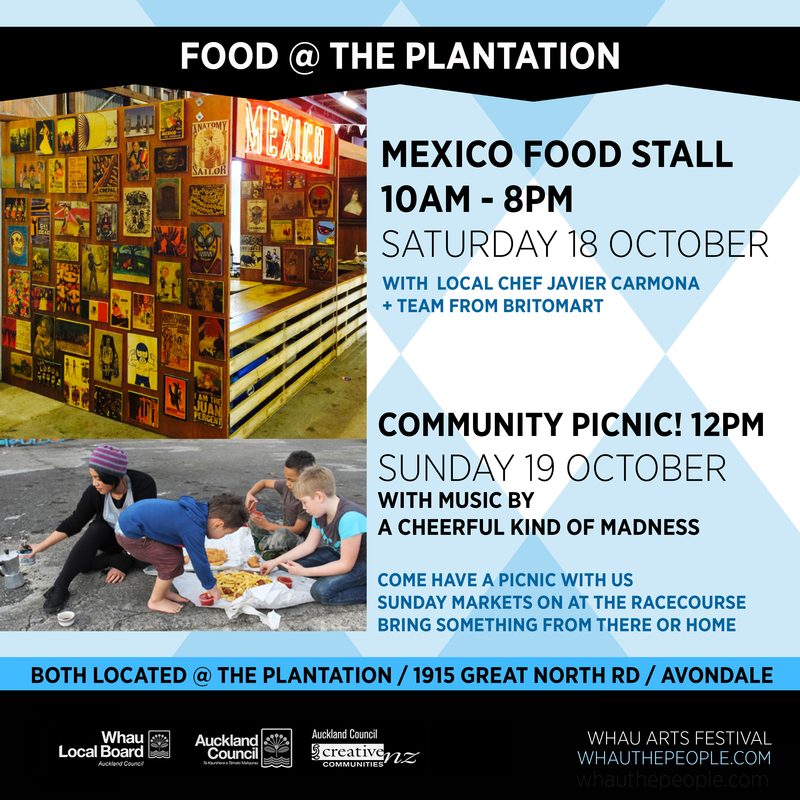 Come and experience Mexico’s delicious street food, made by Javier (Avondale local) and team, on the 18th of October (one day only)! We are thrilled to have them part of our event. Amie Moffat is the arts educator at Corban Estate Arts Centre. With an extensive background in community projects she brings enthusiasm and a colourful approach to her work. Her focus is to connect people by sharing creative experiences that take shape from the collective contributions. Wordbulation is all about breathing life into words. Let them scuttle around you, sneak onto your hat or snuffle into a dark corner. They may wander onto a bench or attach themselves to your boot. Add your little bit of fizz to the giant collective story or start your very own one in a quiet space where someone could stumble upon it and be filled with glee. I am a ‘real-world’ (i.e. not digital…) game designer interested in the development of immersive, interactive games to better facilitate creative storytelling. 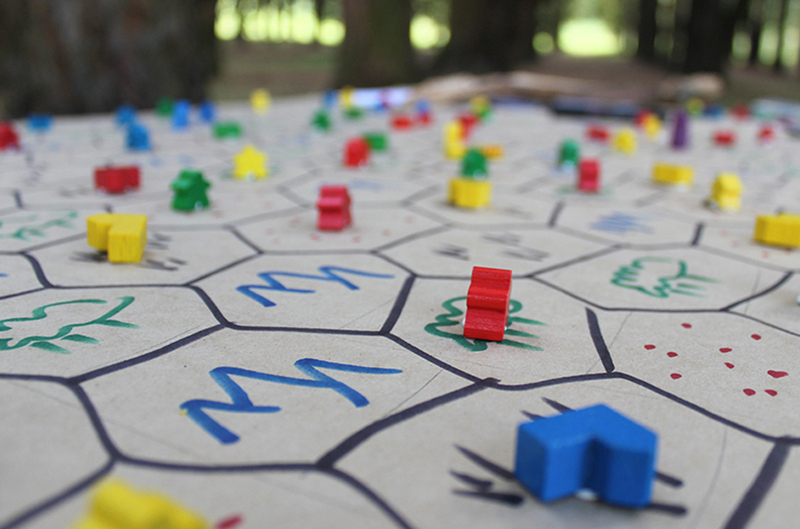 ‘The Bee Garden’ is an outdoor game designed to be played by both young and old-er peoples. A bit of strategy and a lot of running around. I am very excited to watch our giant flower garden grow. Ilse Marie Erl Marie has extensive experience in teaching and coaching adult learners. In 2011 she was awarded lecturer of the year by the Unitec Student Union. Marie is an accomplished motivator of students of varying abilities in transferring both practical and conceptual expertise. Marie’s tutoring skills include training in a wide range of hand and machine skills that relate to small object making. Ilse-Marie pursues a successful career as a contemporary jewellery maker, with her work featuring in the main contemporary jewellery galleries in Auckland and exhibits regularly both in New Zealand and internationally and is co-founder of Whau Studios: Contemporary Jewellery Collective. Mandy Flood has 12 years’ experience as a design and technology teacher both in England and New Zealand. Since completing her degree in Design and Visual Arts; contemporary craft –jewellery at Unitec in 2012 she has gone on to exhibit both nationally and internationally and is a co-founder and permanent resident jeweller of Whau Studios: Contemporary Jewellery Collective. Dorothy de Lautour Dorothy is a gradutate of Unitec with a degree in Design and Visual Arts –contemporary jewellery. Since graduating in 2013 she has curated and exhibited widely. Dorothy’s past experience consulting within the computer industry and her knowledge of small business practice has been key in the foundation of Whau Studios: Contemporary Jewellery Collective. Working on site with materials found in the area, the intention is to produce articles that have the potential to be worn. This activation of site aims to widen the awareness of what adornment can be and to look at the value of what is discarded. 1.30-2.30pm Jump into a drama class, Pacific dance class or a hip hop dance class and shake off the week while you sharpen those skills for your next youtube clip.3-3.45pm Pipa’s ‘At Home’ Performance involving a top selection of dance pieces and drama solo’s from 2014, including a new work by Tupua Tigafua. Rangoli is An Indian folk art, marble powder medium to decorate house, temple entrances, courtyards at festival time. Ladies hold white rangoli powder in bare fingers and go on making free or geometrical patterns then complete them by filling up different vibrant colored powder. No limitation with size, small or as big possible. This art is passed on generation to generation. Set within the survival experiences island dwellers of Aotearoa and ocean going explorers this work seeks to explore the past and present ecology of the waters of the Whau. This mobile performance aims to walk the tributaries of the once frequently travelled portage through navigating shorelines of urban environs and human survival technologies. Join artist Christina Houghton as part of a mobile performance that tests multiple response mechanisms when facing adverse conditions. Embracing the in-between, unstable, turbulence and the unknown this work hopes to discover collective action and conversation around social and political aspects of survival in times of economic and environmental uncertainty. Christina Houghton is a New Zealand dance artist, costume designer and researcher (based in West Auckland) whose performance work spans across the disciplines of choreography, ecology and art. Her previous work has explored water issues particularly around the Whau Estuary and now includes survival and island ecologies explored in Actions for Living (AUT 2014) and Survival Tours (Festival of Uncertainty, 2014). She has recently been to Sweden to present a guided boat tour Sharing Waters UMEÅ2014 with Johannes Blomqvist. She has also been invited to present Walking Weather Systems at the Prague Quadrennial in 2015. I studied graphic design in Wellington, have taught art in both primary and secondary schools in Auckland and gained an MFA in painting at Elam. My art practice includes drawing, painting and photography. I am an avid reader and member of the Auckland Library. These will be part of an exhibition at the Avondale Library as part of the Whau Arts Festival. Warwick Broadhead will perform a tree celebration ceremony and well-known poets, Riemke Ensing, Denys Trussell, Alistair Paterson, Dorothy Howie and Peter Bland will perform their tree poems. The band was formed in 1957, originally as the Pipes & Drums, 1st Divisional Signals Regiment of the New Zealand Army. As a territorial army band, its members were soldiers first, but the band became civilian in 1964 after an army reorganisation. We have retained our links with the Army through the Signals Association, and are permitted to use the Corps of Signals cap badge. Several band members, including Pipe Major Ian Hill, have been members since 1957. Other “new boys” (and girls) are much more recent members! Mark Harvey is an artist who works mainly in performance. His practices are conceptually driven and often dialogue with social and political contexts. His work at times also test out notions of minimal endurance with constructions of idiocy, seriousness and deadpan humour, drawing from his visual arts and contemporary dance influences. Some of the galleries and live art events he has presented in include: Enjoy Public Art Gallery (Wellington, NZ, 2003), Govett Brewster Art Gallery (Taranaki, NZ, 2006), Physicsroom Contemporary Artspace (Christchurch, NZ, 2002 and 2006), Parnu International Video and Film Festival Pain in the Class (Estonia, 2006), PSi 15 (Croatia, 2009), Livingroom in collaboration with Isobel Dryburgh (Auckland, NZ, 2010), Letting Space at the New Zealand International Festival of the Arts (2012) and the 55th Venice Bienalle for visual arts (2013). He has curated a range of performance art events such as Lazy Susan and Smelly John (St Paul St Gallery, Auckland, 2005 and 2006). Harvey has been published internationally in a range of topics related to performance, art and choreography such as The Live Art Almanac (2013), The South Project (2013), Performance Research Journal (2006, 2010 and 2013), and The Swedish Dance History (2012). 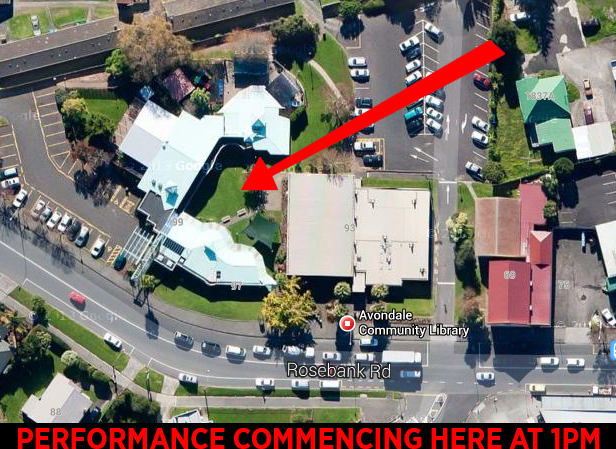 He holds a PhD in performance practice from the AUT School of Art and Design. Mark is a Senior Lecturer at NICAI at The University of Auckland. Linda.T is an Auckland based artist of Samoan descent. She completed a Master of Art and Design at AUT University 2009 specialising in video installation art and was awarded the Deans Award for Top Student. Linda.T was a recipient of the CNZ Emerging Pacific Artists Award 2008. She was also selected to attend the 12th South Pacific Arts Festival, in Pago Pago, American Samoa in 2008. Her art practice focuses on short story documentaries through photography and video and describes her kaupapa as being one that is based on ‘koha’ – often made with and gifted back to the communities involved. She has also worked with various organisations from community to government lead incentives with special interest in Pacific women’s health, youth and volunteer based projects. In addition to this she has worked in local radio, TV and short film and is widely recognised for her contributions to small communities in New Zealand through her tireless efforts as a documenter since the early 1980’s. 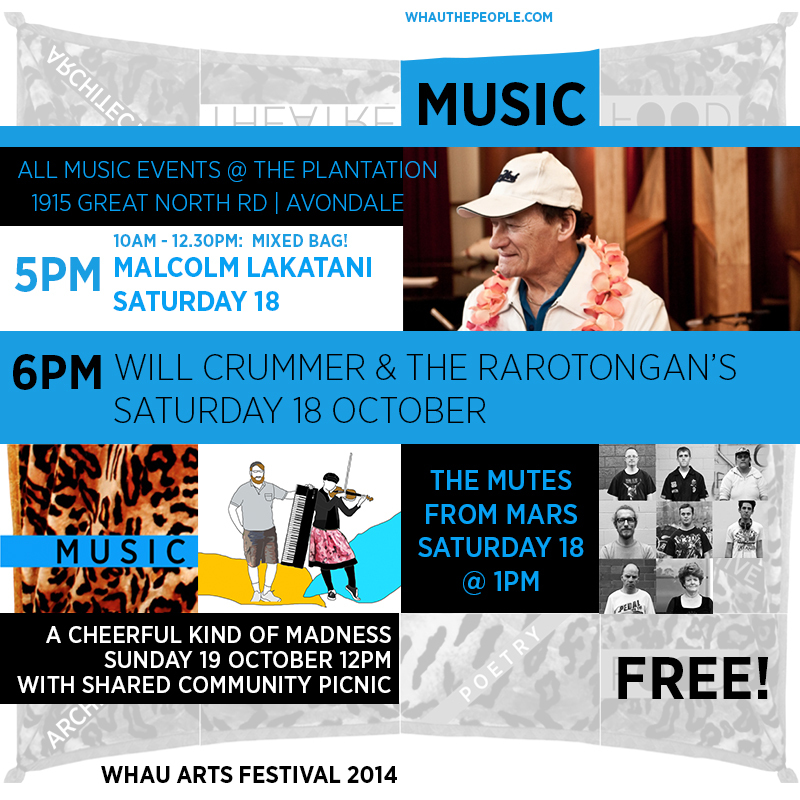 Linda will Dj the bus ride from Artspace K-RD to The Plantation as part of the OFFSTAGE 6 container exhibition. 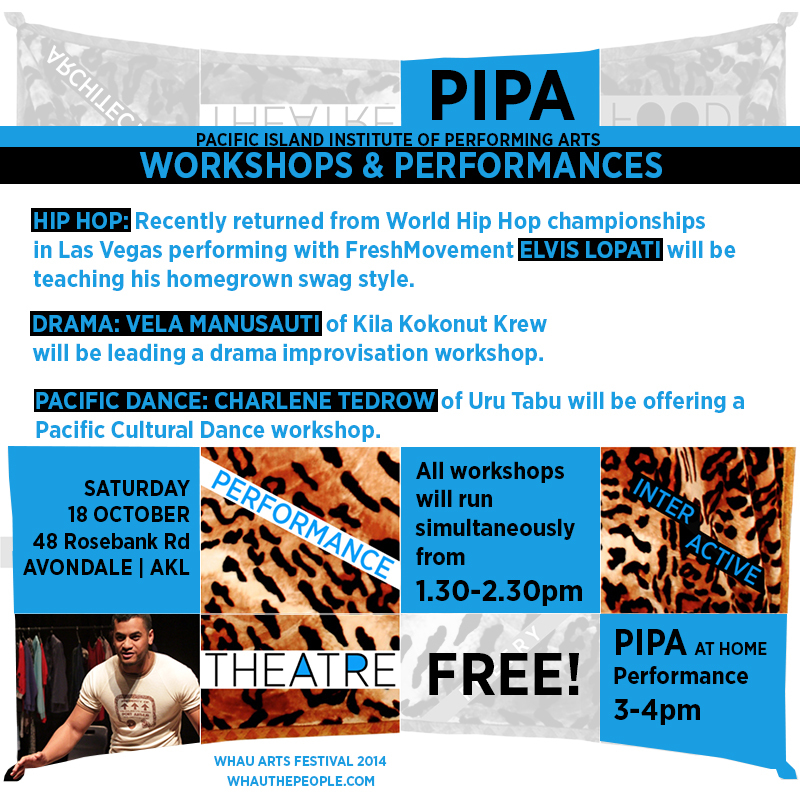 Pipa’s ‘At Home’ Performance involving a top selection of dance pieces and drama solo’s from 2014, including a new work by Tupua Tigafua. Nate a.k.a Nate the Blacksmith has never shod a horse but he does work with the fire, hammer and anvil associated blacksmiths. He used to work as a journalist, until a series of events led him to Westport. Here he spent a terrifying year living in a barn without electricity and learning the basics of blacksmithing on a course designed to pacify Westport’s delinquent youth. After his stint in Westport, Nate returned to Auckland and enrolled in Unitec’s Bachelor of Design and Visual Art which he graduated from last year. He has recently completed a large chandelier commission for potter Barry Brickell and has also worked for a number of sculptors including Lou Purvis and Andrew Drummond. Using both coal and gas forges, Nate uses traditional blacksmithing techniques to create both functional and sculptural objects. He has a studio at Corban Estate Art Centre in Henderson. The blacksmith was once an integral part of all Auckland communities, Avondale no less with Perry’s Avondale Shoeing Forge on Great North Rd. and his competitor, Thomas Myer, on Blake St (St. Jude’s). The sound of the anvils ring and the smell of burning coal have been long gone, but they will make a brief return during the festival. Nate Savill a.k.a Nate the Blacksmith is bringing a small forge to the main festival site to give visitors a taste of the smell and sound of old Avondale. Come and enjoy the fire, the sparks and the sound as Nate shapes molten steel in front of your eyes. Max White has lived in Avondale since 1982. Worked in Art and Design education for over thirty years, at both secondary and tertiary levels, the last twenty at the Auckland University of Technology. These photographic projects go back a number years and are provocated by a ‘place attachment’ to the locality where I live on the western side of the Auckland isthmus alongside the Whau River Portage at Avondale. 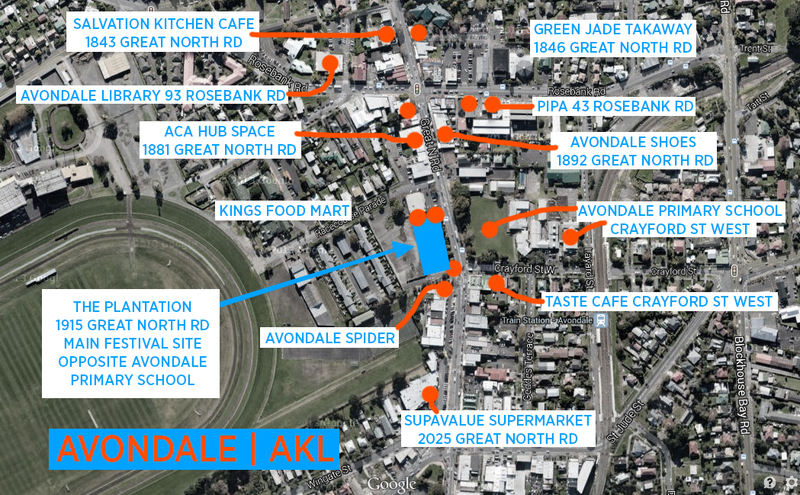 Today Avondale could be described as a nondescript conduit with a criss-cross infrastructure of through traffic, a blind spot, inscrutable whether passing from centre or periphery. It is visually indifferent and representative of urban ‘backwaters’ and ‘in-between’ suburbs that combine suburban and light industrial landscapes and attract a diverse cosmopolitan ethnic mix. Places so mundane that it can be suggested they epitomise some of our shallowest cultural manifestations. This ‘place attachment’ to Avondale, though tinged with fondness and scorn, has evolved over years of living here. Avondale locates all this work. Avondale Community Preschool is a vibrant provider of Early Childhood Education and Care, based in the heart of Avondale, where children’s creative expression and community connectedness are nurtured and celebrated. All forms of art woven into the daily lives of our children are fundamental in developing communication, contribution, belonging, wellbeing and exploration. ‘Portraits’ show us our community from our children’s perspective, revealing how they see themselves and the people and places around them. Photo by Johanna, 4 years old. Lana Lopesi is a visual artist and writer of Samoan and Canadian decent, interested in contextualising personal stories within wider Pacific histories. She graduated from Auckland University’s Elam School of Fine Art in 2013 with a Bachelor in Fine Art honours. Transit projects is a curatorial driven project, founded by the collaborative team of Ioana Gordon-Smith and Talia Smith. Transit aims to engage with artists in a local and international scene, creating opportunities and space for artists ideas to grow and develop. Transit is not a fixed space but rather a moving and ever changing idea. 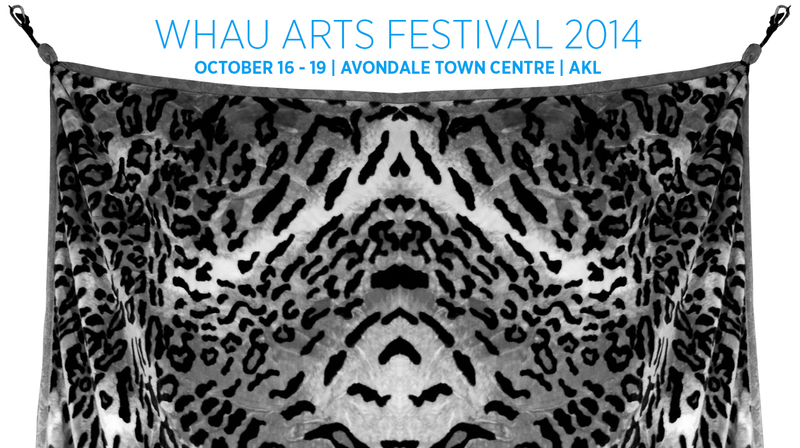 The Whau Arts Festival in 2014 will be the launch of Transit projects. Harriet Stockman lives in Te Atatu Peninsula, Auckland. A full time potter in the early 90s, in 2014 she has returned to making pots for pleasure. She completed a Masters of Art and Design (Visual) from AUT in 2013. Stockman has taught art part time over a span of 23+ years in tertiary and community education. She is a member of Parlour Group and exhibits on a regular basis. Drawing Experience Whau is an installation project and public collaboration using concepts, material and processes related to clay. Stockman is inviting the public to come into the installation, follow a minimal set of instructions that encourages them manipulate/play with clay and structures within the allocated festival space, adding their imprint to the work. 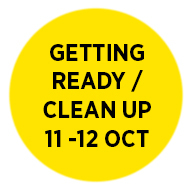 The resulting objects and structure will be vulnerable to the elements and change further over the time of the festival. The clay used in the project has been collected from the mouth of the Whau dug out from under a wooden fishing boat Aorangi that was stranded on the mudflats earlier this year. It was also collected from the new bus–lane cuts being made just above the Whau. Sitting in between these points on the edge of the Whau is the historic site of Auckland Brick and Tile Company, which produced bricks and operated between 1883 and 1886. Debri from this time remains evident on the shoreline today. Martin “The Robot Man” Horspool is one of the few people lucky enough to be able to visualize personalities, hidden in disused household objects. The development of these personalities involves some grinding, drilling and riveting, until a creation is formed, from a pile of rusting parts. Sue Clark, Post Grad Dip. Art & Design AUT. Art at Work, artist and director. Art at Work is all about making art together: in a corporate or business setting, in the community, in schools and at home. 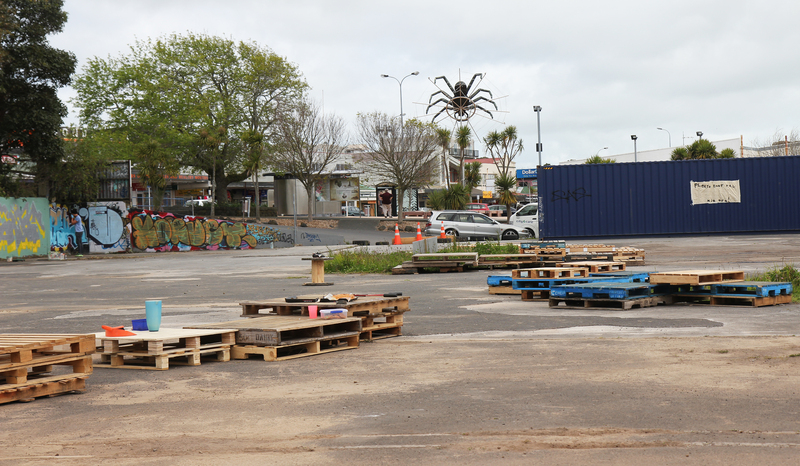 On the Land is a collaborative artwork made with Avondale Primary School children who will be mentored by Unitec Foundation Course students. The work references Tivaevae, Kowhaiwhai and cultural patterns to reflect the nature of the local multicultural community and to celebrate the footprint of our many cultures on the Whau landscape. On the Land is comprised of separate parts which come together in a unified whole, acting as a metaphor for community. 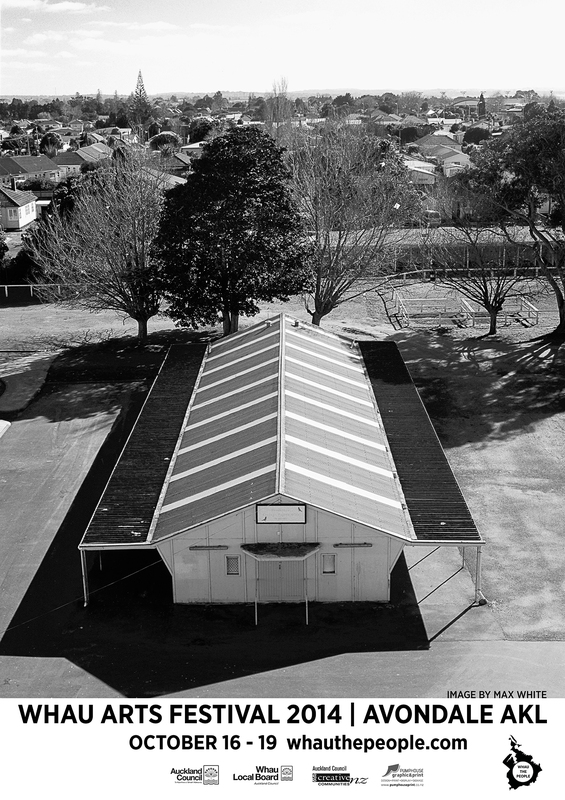 Below Image: “Largest project I have undertaken, 370 children from Avondale Primary, 40 Unitec Students, Sam Morrison from Whau the People, Iona Matheson from Lopdell house Gallery, 2 awesome Unitec tutors worked with me to create a massive artwork to be installed on the sports field for the Whau arts festival in October 16th – 19th. We painted 196 metre square tiles to come together as a large cultural mural. The Cut Collective is an Auckland based art collective with varied personal histories in art making. After working spontaneously and informally together over a number of years the Cut Collective was formed in 2006 by Component, TrustMe, Flox and Enforce1. This move added an element of permanence and recognition to this ongoing collaboration. The Cut Collective has an inclusive philosophy, recognizing the value in collaboration and actively promotes this through its working relationships with other artists. They believe accessibility is key in their role as an art collective; involving others, teaching others and establishing dialogue in a community. It is from this belief that much of Cut Collectives public art activity stems. They are a constant advocate for the role of public art in enhancing our built environments and contributing towards the improvement of our public spaces. They value the communities in which they operate and champion outcomes that address community issues. Currently made up of 5 permanent collaborators, the Cut Collective maintains an ever-present state of flux with others joining the group as projects emerge and evolve. They have worked with an ever increasing pool of artists, designers, animators, architects and other creative professionals. The Cut Collective currently includes Component, TrustMe, Enforce1, Peepshow and iThink. Ross has lived in Avondale over 15 years and is a carpenter by trade. As an adult he enrolled in art school and graduated a few years ago. He currently teaches the subject part time at Unitec and also continues to work as a builder and make sculpture. He enjoys cafes and is often to be seen drinking a flat white in one of Rosebank rd’s many establishments. Project Outline: I have ideas for two works. One is a suspension work, a site specific work in which an object or objects are suspended from one of the derelict structures that border the site. This speaks to stasis and its opposite…movement…and concerns itself with material under stress There will be another work dealing with physical tension in the form of a steel rod connecting one part of the site to another. HyunJin Yun uses knitting and illumination to make large art projects, useful items for the home and fabric lights. With a background in Korean silk, HyunJin moved to New Zealand in 2003 and specialised in knitting during her Masters in Textile Design at AUT. She lives in Avondale with her partner, four flatmates and six fish. Project Outline for Pop Up Cushion Garden This is a simple and fun project about colour, sharing and talking for the people in this community. Huge knitted cushions made with colourful wool and soft filling encourage happy connections. We see bilious black cloud forms that attempt to resist their current forms, miniature factories, flags lifting and falling, menhirs and twisting overpasses, monuments and minuments to the churnings of the Avondale surround. Visual Art is a significant part of the students learning at Avondale Primary School. Across the year levels, students have learnt how to apply artistic thinking and skills of different mediums such as collage, painting, tapa making and wearable arts. The art show is a showcase reflecting students’ creativity, hard work and success and will be held in the school hall from 3-6pm from the 14th-16th October; then on Friday the 17th from 9am to 3pm. Come along and see what our fantastic students have created over the term! Prior to obtaining an arts degree at Unitec I travelled extensively overseas. On my return I settled in Avondale and completed a Masters degree. I currently make art and work part-time at Starship Hospital. It turns out a 4th generation cousin, Henry Henwood Haryr, set up the Whau Creek electoral run, and was involved in establishing the Avondale Racecourse. My great uncle William, who died int he 1st World War, was also a keen horseman and “giddyup” is a homage, in part, to him. The bone-like quality of the supplejack, or kareao, is a constant reminder of the skeletal remains of the men who died in the trenches so long ago. William’s final letter written to his sister Maudie from Sling Camp in England, a military base for horsemen, on the eve of his departure to France and the hell of the trenches and death, had the lines, “it is a cold place here. Snowing and raining all the time, we will be glad to get away from here. They say that it is warmer in France than here.” He remains buried in France. Jody Yawa McMillan has a Bachelor of Fine Arts from Otago Polytechnic School of Art. Following Art School she was selected to be exhibited in a series of exhibitions including the graduate show at The Blue Oyster Gallery. Soon after, Jody’s desire to ‘see the world’ was at boiling point. She went on to travel extensively through Asia and Europe, including backpacking solo through Northern India for 3 months and motorbiking through Eastern Europe. Since returning to New Zealand she has enjoyed delving into her local community and creating in her Art space. For the Whau Arts Festival, she is making a site specific work: searching through Avondale shops, photographing everyday objects that on closer inspection can seem Am Big You Us. Offstage is Tautai Contemporary Pacific Arts Trust’s annual moving image and live performance event. Now in its sixth year, Offstage 6 offers Pacific artists an opportunity to present new and experimental works, providing a glimpse into new directions in the current landscape of contemporary Pacific art. She completed her Bachelor of Visual Arts from Auckland University of Technology in 2012. Louisa also writes and co-hosts the website #500words and has also had writing published online on Circuit. is an emerging artist of Tongan and European descent. She recently completed a Bachelor of Fine Arts (Honours) at Elam School of Fine Arts at the University of Auckland. She has exhibited her work as part of the annual Tautai Tertiary Exhibition at St Paul Street Gallery. Her practice is concerned with the theory of psychogeography and its relationship to the physical actions of navigation, travel and negotiation of space that reveal new territories and experiences. is a New Zealand based artist of Pacific descent who is currently completing her Masters of Fine Arts at Elam Arts School in Auckland, NZ. 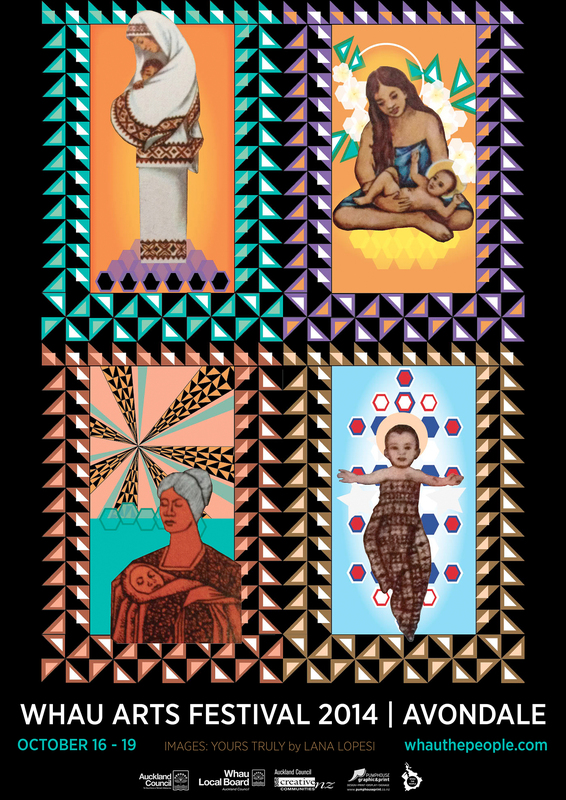 She has exhibited her work widely throughout New Zealand including – This Must be the Place at St Paul Street Gallery, Siapo Cinema in Wellington and Return to Sender at Papakura Art Gallery. (Vaimoso/Siumu/ Niu Sila) b.1990, is a poet and performance artist of Samoan and European descent. She gained her degree in English Literature and Philosophy from the Universities of Canterbury and Waikato and moved to Wellington in 2013, where she is currently completing her Masters in Creative Writing at the International Institute of Modern Letters, Victoria University. She is currently working part-time as Tautai’s Wellington tertiary liaison. Dane Taylor graduated with a Bachelor of Fine Arts with Honours from Auckland University in 2009, having previously graduated with a Bachelor of Arts majoring in Film and Anthropology from Victoria University in 2001. Dane’s recent work features multi-coloured geometric blooms painted in gouache onto second hand prints – with an affect reminiscent of tapestry or quilting – catalysing spatial and colouristic relationships. These colourful eccentric abstractions and collages have been shown at venues such as Corban’s Estate Art Centre, Papakura Art Gallery, Robert Heald Gallery and Creative Space Avondale. 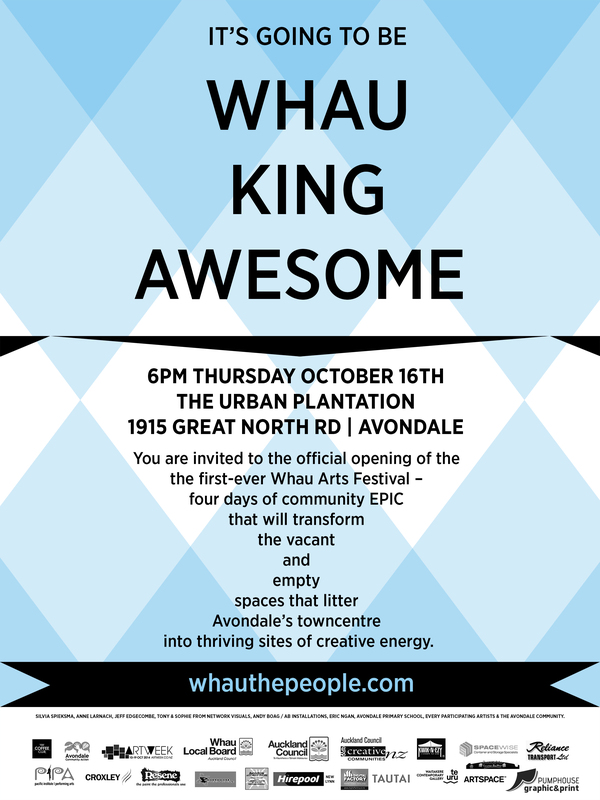 For Whau the People, Dane will be exhibiting in the Green Jade fish and chip shop. He can often be seen inhabiting this space with his daughter Manamea as they wait for their six dollar special and chicken thighs. On this occasion though he will be making a large digital print to hang on the wall of smorgasbord section of the shop. The work will be made specifically for the space, taking advantage of the distinctive character of the existing decorations. Roz Campbell is the owner of Tikihut Creative, a multi-displinary design studio in Avondale. My inspiration is drawn from the enduring popularity of 1950’s-style Tiki-Time, swaying palms, retro fabrics and tropical colours. And how this chaotic mix of cultures and eras is continually open to contemporary reinvention. Designer, dressmaker, dog-lover, collector, curator. My life is infused with too little space and too much stuff. I am always seeking new ways to redefine creativity by incorporating my passion for art, 1950s tiki-time culture, vintage textiles and kitsch collectables into contemporary artforms. This perspective is the inspiration for “Blooming Lucky” Race Day frock” and “I’m having a Flutter” race day shift dress. Garment rationale: I grew up remembering a vibrant Avondale Village, it was the hey days of Avondale Jockey Club, when attendee numbers swelled to 60,000 for a big race meeting, and whether wealthy or poor, mum’s always wore “frocks” they often had made themselves. Race Day was dress up day. Today Avondale is a changed demographic but the race track is still operational, and our local shops portray a new diversity of colliding cultures, and present a street style, quite capable of upholding its’ own colourful tradition of local chic. Fiona and her family live in Avondale. Fiona is an artist and Senior Lecturer at the Elam School of Fine Arts at The University of Auckland. 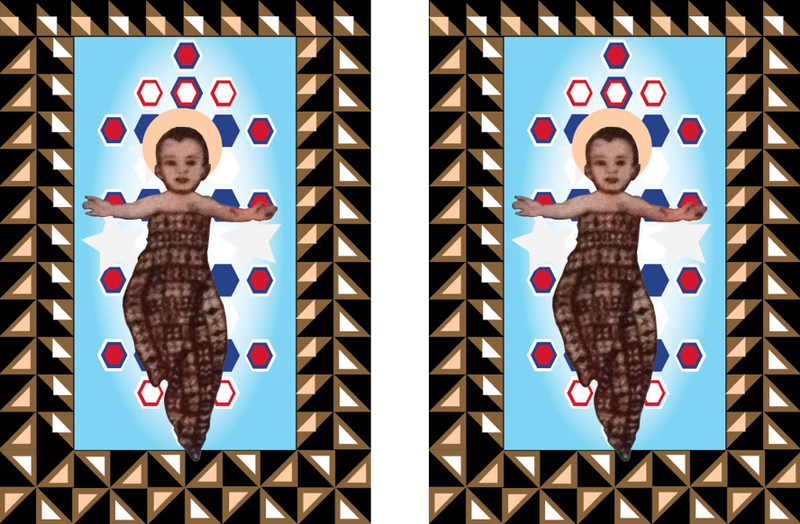 Recent projects employ an array of media in order to consider sociopolitical issues, alongside an interest in conceptual methodologies and postcolonial histories. Fiona has exhibited at the Govett Brewster Art Gallery, The Christchurch Art Gallery, Artspace, Centro Cultural Matucana 100 (Chile), Two Rooms Gallery, The City Gallery Wellington, Te Tuhi, Papakura Art Gallery, Projectspace (Melbourne), and more. Fiona has an MFA from CalArts, Los Angeles. Wantok is a pidjin english word used to describe people who speak the same language/come from the same area or village. Artists Numa Mackenzie (Cook Islands/Canada) and Reina Sutton (Solomon Islands) are wantoks – they speak the same artistic language and are both members of the Nesian Family. Wantok Pop Up Collective is the platform they’ve chosen to use to collaborate together, with other artists and with the community. They are all about grass roots, up-cycling/recycling materials, resurrecting dead spaces and having fun in the process. PROJECT OUTLINE Wantok Pop Up Collective will be working on painting a bright and welcoming entrance point from the main street that leads down into the parking lot. This entrance has been neglected and forgotten over time but with some forward thinking and lots of possibilities, we will transform it into a space that welcomes foot traffic, positive interaction with the community and putting a smile on the faces of passers-by. We have seen the wonderful and positive affect that murals can bring to a community and we would like this to happen for Avondale also. Kathryn graduated with a BFA from Elam in 1999 and has been regularly exhibiting in Auckland and Christchurch for 11 years. She has been selected as a finalist in the Wallace Art Awards, the Parkin Drawing Prize the Waikato Art Award, the BMW Art Award and the Clifton’s Art Award. Kathryn was also a featured artist in Warwick Brown’s book ‘Seen This Century, 100 Contemporary New Zealand Artists’. In her painting practise Kathryn is inspired by architectural drawing and urban spaces, her work explores the tension between the surface of a painting and the representation of three dimensional space. “In my Art making I am interested in the tension between two and three dimensions”. In this project I am going to draw with tape on the wall of a shipping container to inhabit the space and investigate the possibilities, and contradictions, of engaging with the folded surface using line. The construction of the wall of shipping container wall utilises folding a two dimensional metal sheet into three dimensions to strengthen it. We can’t read it purely as either; a surface or three dimensional, but understand that it is both. The container wall, a surface of frozen movement that implies flexibility but that has been imobilised. Melissa West is an Auckland-based photographer and visual artist. She graduated from Unitec in 2013 with a Bachelor of Design and Visual Arts, majoring in photography. 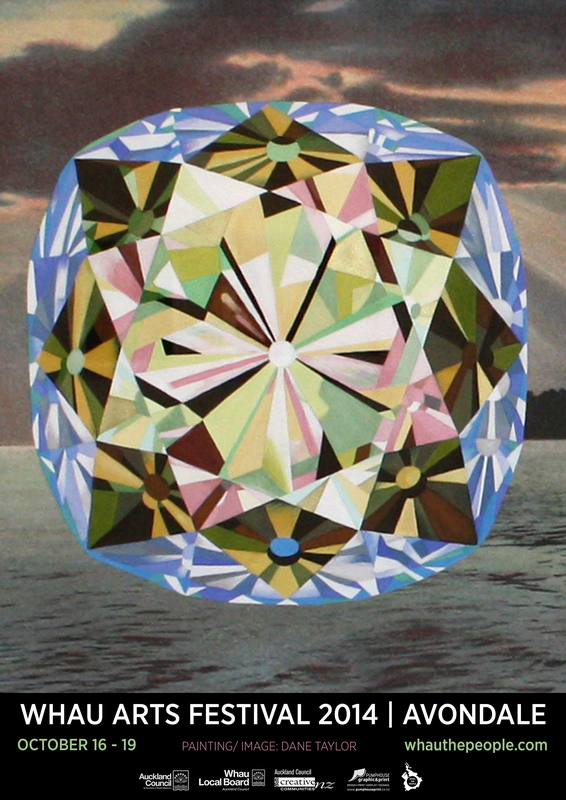 Melissa’s work, Wordless Messages, was exhibited at the Young and Talented (group show) at the Academy of Fine Arts in 2014 where it received a special mention. The piece was also exhibited at the ’21’ Unitec Graduate Show in November 2013. Wordless Messages is a collaborate video piece that draws on Melissa’s extensive background as a care support worker in the community. The collaborator Sam is a non-verbal man who communicates via a range of hand signals. He lives with his family in Avondale and his activities in the Whau area include schooling, social outings, church and time spent with family and friends. The aim of the project was to discover ways to improve the support provided to him and bolster his participation in the community. Through new adjustable levels of support and parental consent, Sam and the people in the community are empowered to negotiate their own communication strategies. A team of interested creative individuals pitching together to brighten and add new perspectives to our main street of Avondale. The Creative Space Team will be involved with various ‘Urban Interventions’ appearing during the Festival. located at Supervalue Great North Road Six flags magnifying the glamour surrounding the heritage of the Avondale Racecourse – The Jockey Silks. Local graphic designer, photographer and artist who has been consumed by community development since joining Avondale Community Action is also obsessed with making the small insignificant things, larger than life thru all mediums. In magnification there is celebration and appreciation for the simple things usually unobserved. I have been collecting plastic bread tags on and off for years, and have finally decided to do something with them. 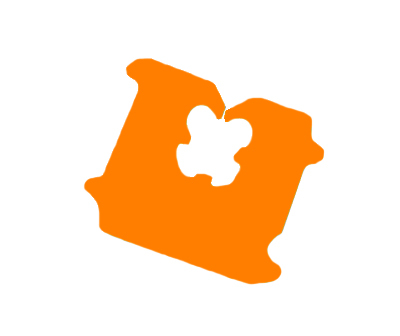 Give us this Day – Location TBC Bring your own bread tags along to add to the installation and be happy that you have bread. Pusi Urale’s Blond Maiden series is inspired by the way Polynesian women have historically been portrayed by male artists as dusky maidens. As an older Pacific Island woman, Pusi plays with this imagery by painting European woman with Polynesian tattoos and wearing hibiscus flowers. Sean Kerr lives in Avondale, Auckland with his family. He is a Senior Lecturer at Elam School of Fine Arts, University of Auckland . He is currently under taking further studies as a candidate for DocFA and has a produced two books, Bruce is in the garden, so someone is in the garden, and Pop. Both were published by Clouds publishing. Janet Lilo b.1982 (Ngāpuhi, Samoan & Niuean) works in digital video, photography and Installation. Her art practice explores experimental documentary and drawing processes for both exhibition and archive. She is interested in documentation as a conversational tool for recording time, people and place – often with reference to popular culture. Lilo graduated from Auckland University of Technology with a Master of Art & Design (Visual Arts) in 2006. 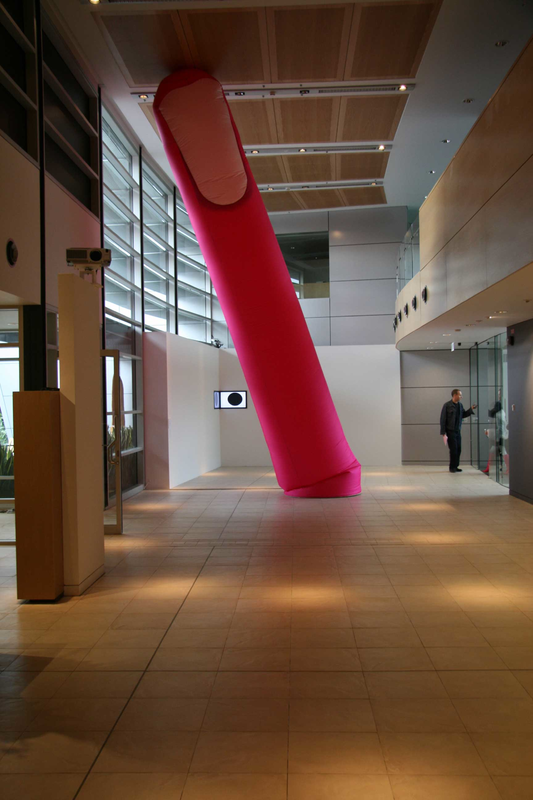 Recent projects include Hit Me With Your Best Shot (commissioned by The Physics Room) for Christchurch and Wellington City Gallery, 2013 and Right of Way for the Fifth Auckland Triennial at Artspace. Janet currently teaches part-time at ELAM school of fine arts, Unitec’s CDVA programme and is co-chair of Tautai Contemporary Pacific Arts Trust. THANKS TO DANE TAYLOR, LANA LOPESI & MAX WHITE FOR SHARING THEIR WORK. BIG THANKS TO PUMPHOUSE NEW LYNN FOR THE GENEROUS PRINT SPONSORSHIP.